On Friday 11th July, 1Xtra’s Power List’ was announced. This is the Top 20 Most Important UK Artists In The Scene from the last 12 months. This is the first time the list has been compiled. 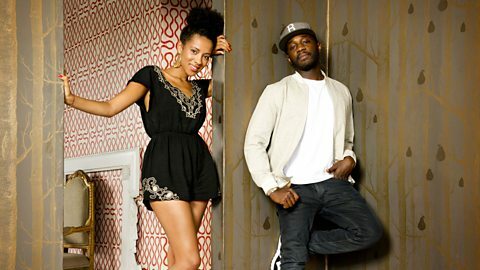 The 1Xtra audience were invited to submit their suggestions for the list, and a panel consisting of industry experts and 1Xtra DJs met to discuss who should make it to the top 20. Artists were considered on a number of variables such as sales statistics, plus more subjective areas like the quality of music and impact across the wider industry. The list is now complete, see who made the grade. "Still regarded by his peers and as the best MC in the UK and bringing through diverse talent via Renowned" - Twin B. "A Gold album and recognition from the likes of Alicia Keys, Jill Scott and more" - Twin B. "The underground rap king released his 2nd album on XL this year" - Twin B.
" One of the only artsists on the list who doesn't need hits to still be relevant to 2014 Uk urban culture" - Twin B and Yasmin Evans. "2013 album reaching number 3 in the UK charts, 2 singles in the top 10 UK chart and an 18 arena date tour (100% attendance in London O2) in the past 12 months." - Yasmin Evans. "Hit after hit and responsible for bringing and maintaining D&B's chart presence with 7 top ten hits including two number 1 records… the first EVER drum N Bass number 1.” - Twin B.